Strong westerlies 10-12 m/s. Tried seawatching from around 8, but little movement apart from 4-5 Great Skuas. Lots of Common Gulls and a few hundred Oystercatchers on the move from around 12. Not many waders, but most were fairly concentrated on the north shore so we made an attempt with 6 walk-in traps from 10-16. 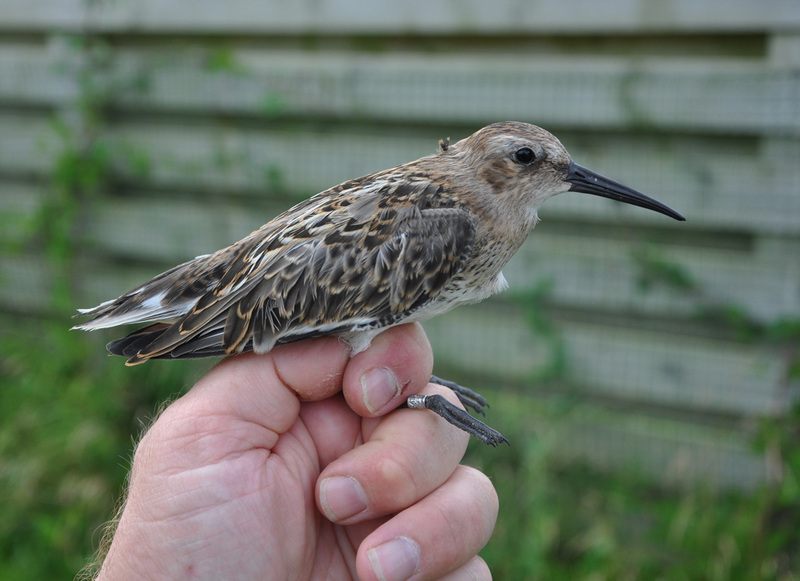 Ringed: Red Knot 1, Dunlin 10, Purple Sandpiper 2, Common Sandpiper 2, Common Redshank 13, Common Starling 1. Total = 29. 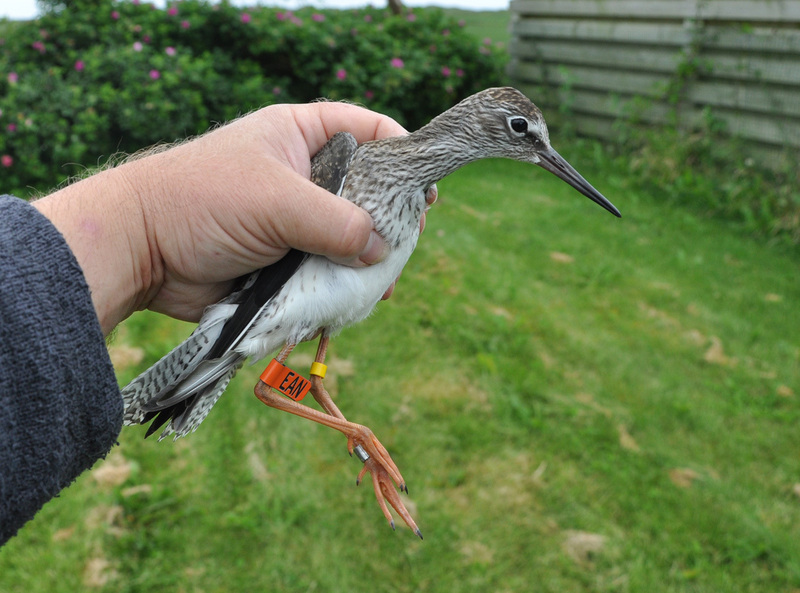 The most typical catch at Revtangen 1937-2017 is a juvenile Dunlin, with more than 42.000 ringed in total. 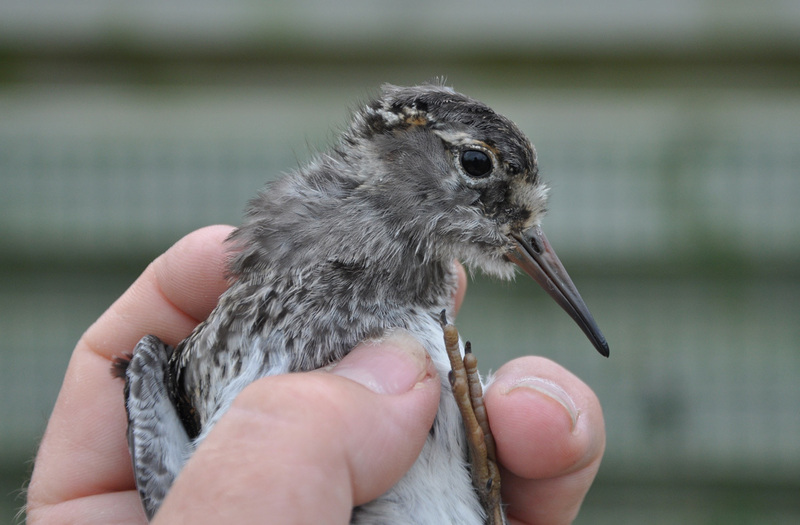 Juvenile Purple Sandpipers breed in alpine regions in southern Norway. Some arrive at Revtangen before the plumage is fully developed , with lots of downy plumage still in the head and feathers still growing in the tail and wings!